After a career in the pharmaceutical industry, which included being involved in the launch of Botox® in 1994, Ron, with his business partner Martyn Roe, set up a consultancy business called Aesthetic Business Services. They helped to develop Wigmore Medical’s “one-stop shop” concept for aesthetic suppliers and launched the FACE and BODY Conferences. The FACE conference, www.faceconference.com, is now the UK's largest medical conference and exhibition devoted to facial aesthetics. Ron and Martyn also own www.consultingroom.com – launched in 2003, and now the largest specialist aesthetic membership website in the UK, alongside a dedicated training website: www.cosmetictraining.co.uk, classified website: www.cosmeticclassifieds.co.uk, and a recruitment site: www.cosmetic-recruitment.co.uk. 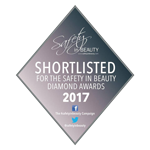 They also part-own MediZen – a local Midlands based cosmetic clinic and clinical trial centre which, in conjunction with their other activities, gives them a very broad overview of the cosmetic industry. In 2013 they took on the distribution of the Hydrafacial - www.hydrafacial.co.uk and in 2014 they pioneered, 'Sweat Smart Centres' - www.sweatsmart.co.uk - a novel clinic concept for treating problem sweat. In 2017 they also started distribution of Perk – www.perkskincare.co.uk and ZENii – www.zenii.co.uk, a supplement and skincare brand launched by Dr Johanna Ward.